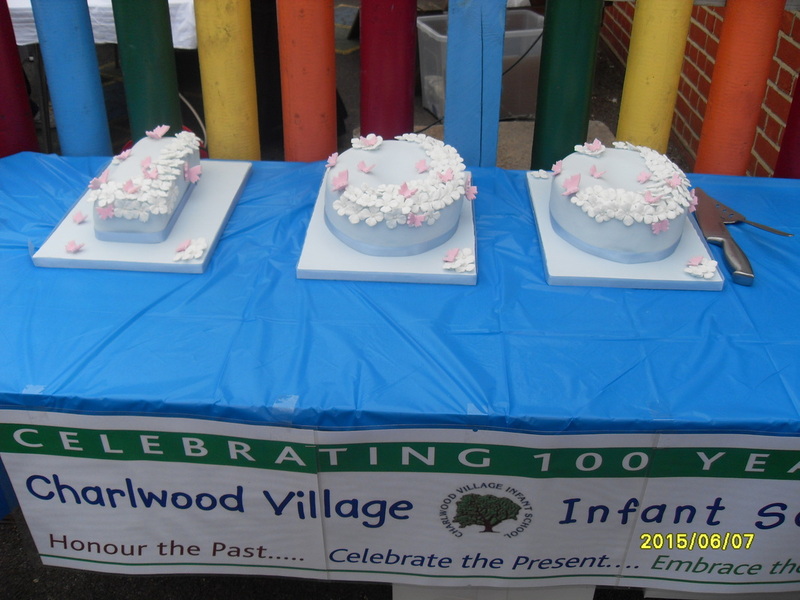 Our Centenary Celebrations were a huge success. 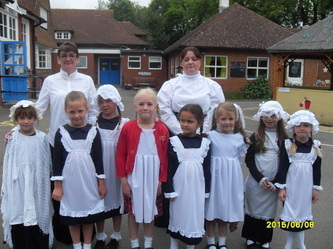 Monday 10th June 2013 was the actual 100th birthday of our school and we started our week long celebrations by having a whole school dress up day in 1913 style. On 10th June 1913 the new Council School, in our present building, was opened with 149 scholars on roll. By that time education was both free and compulsory. 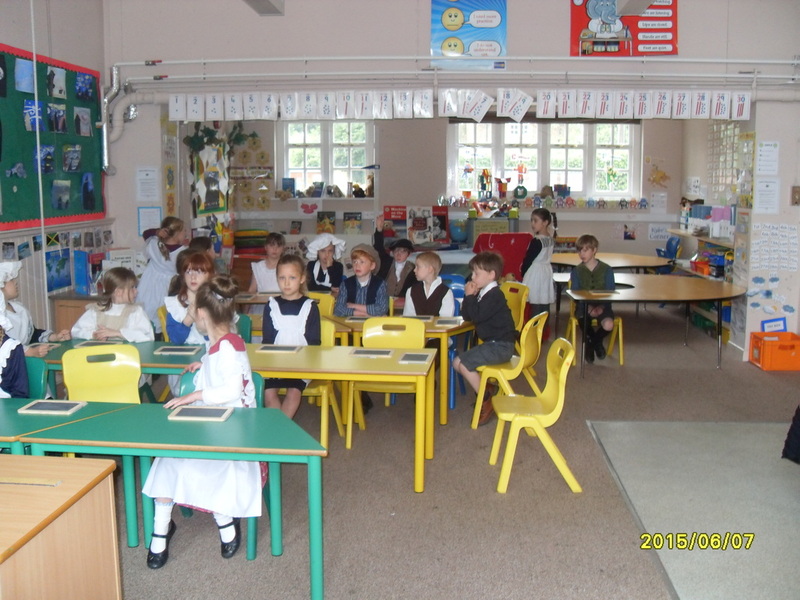 The school became a primary school for pupils aged 5 to 11 years on August 31st 1948 with 82 pupils on roll. In September 1975 when it became a First School for children aged 5 to 8 years there were 64 children on roll. 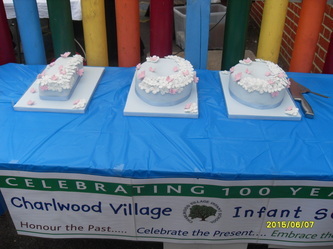 Under Surrey's Change of Age of Transfer, Charlwood became an Infant School for pupils aged 4 to 7 years in September 1994. 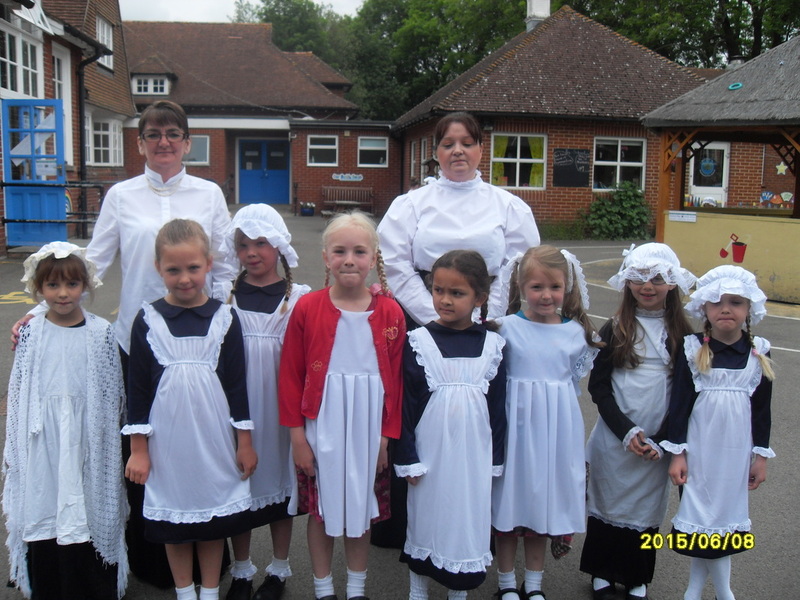 Our centenary celebrations will be held during the week beginning Monday 10th June. Monday 10th June 2013 9.30 a.m. The official start to our week of centenary celebrations. 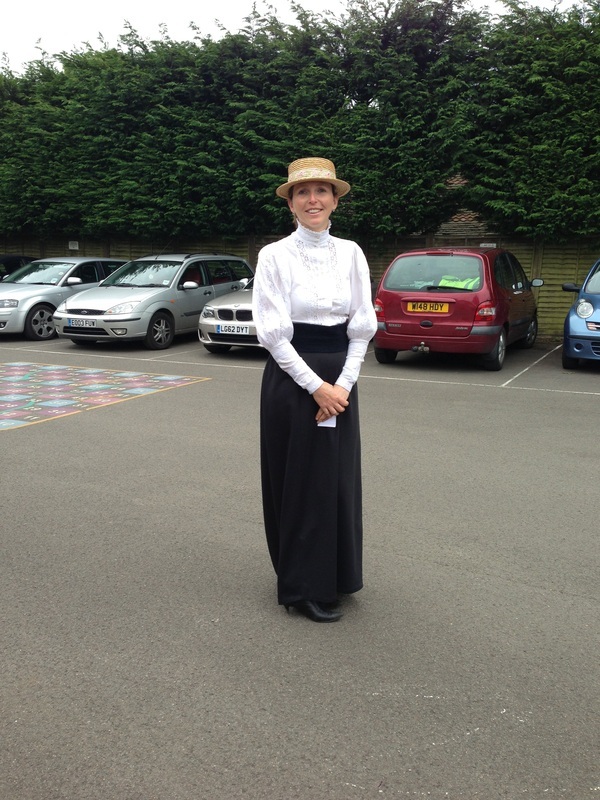 All are welcome at 9.30 a.m.
All children and staff will come to school in clothing typical to the Edwardian era. It will also be a no technology day. Visitors are welcome to join parents and children to watch Maypole Dancing and traditional dances. There will also be centenary displays in the link and tea and cakes available. 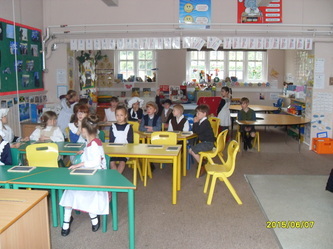 Friday 14th June from 9.30 a.m.
Tours of the school with the Headteacher. There are 3 tours during the day and you must book your place in advance. Please telephone the school to book. Saturday 15th June 12 - 3 p.m. 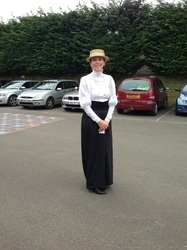 There will also be more tours of the school with the Headteacher which must be booked in advance. Please telephone the school to book.